I was just reading BtoB Magazine’s latest issue and an article called Publishers pin hopes on iPad caught my attention enough to blog about it. According to the article Jason Snell the editor of IDG’s Macworld – is building an iPad application for his magazine with the promise of a digital version of his magazine on the iPad. What’s really interesting about this is idea is – could it save the Page Advertising business and Magazine industry which has been in a long steady decline? Answer – Yes I think it could! But what Jason sees is a device with a vertical orientation like the print magazine, a much more elegant design than the Kindle, and most importantly with the interactivity of the web. So as a publisher I would be gearing up my sales force to sell rich media page advertising on the iPad. Totally awesome concept – as an advertiser I finally have the option to have a page ad that actually clicks through to my website directly and that can be totally tracked like all my other media, digitally! 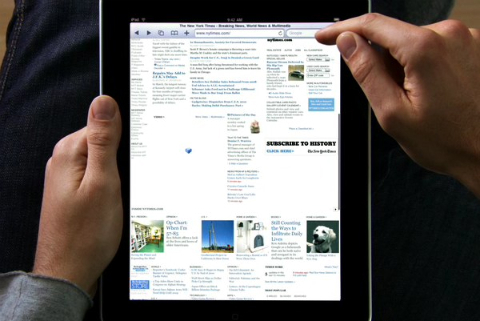 The future of the iPad for as an advertising medium via any publisher is an outstanding idea. Right now we can barely imagine the possibilities of this medium but the promise could really revolutionize the Page advertisement which is long overdue for some innovation.